Top o’ the mornin’…. Er, afternoon! 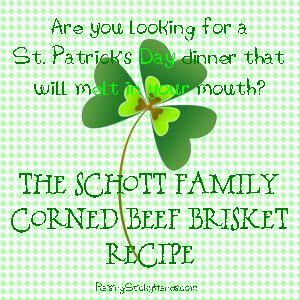 Who’s ready for a melt in your mouth Corned Beef & Cabbage dinner for St. Patrick’s Day? Contrary to what you may believe, our family is mostly Irish. I know, we have a German last name, but the majority of our blood heritage is of Irish descent in both of our families. While we don’t go “all out” for St. Patrick’s day in our home, we ALWAYS have an Irish dinner and just a few fun activities for the kids followed by a lesson in our homeschool. Those who have enjoyed the meal with us in the past always fell in love with it immediately, including those who don’t normally like Corned Beef and Cabbage. I thought as a treat, I would share my husband’s recipe with all of you today, just in case you aren’t sure what to do with the brisket you bought at the supermarket. Now, I want to make a disclaimer first: This is my husband Bobby’s corned beef brisket & dinner recipe. 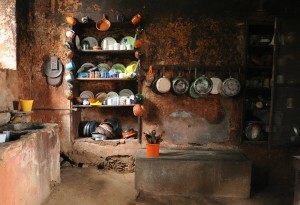 He rarely uses recipes from anyone else, just creating as he goes. He also does not believe in measurements and eye balls every ingredient he uses. I am relaying this as best as I can to you from a very confusing email he sent to me as he didn’t want to stand over my shoulder as I typed it all out. 😉 If you have any questions whatsoever, feel free to leave them in the comments and I’ll answer you as soon as I can. 8-12 hours depending on the size of your brisket. For a 4lb brisket you’re looking at 8-9 hours. You will know your corned beef brisket is ready when the internal temperature of the meat is 160 degrees Fahrenheit. 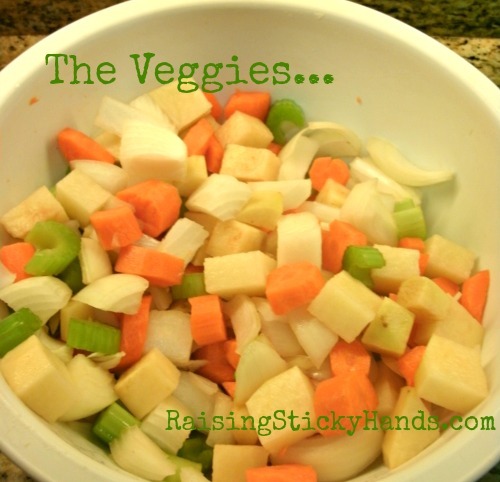 Cube the carrots, celery, & onions in 1/2 and then again until small pieces. The potatoes get halved or quartered, depending on size. Mix all of the veggies together and then line each crock pot with the mix to cover about 2 inches of the bottom of the pot. Place the brisket on top of the mixture, fatty side UP. Pour all liquid from the package into the crock pot. 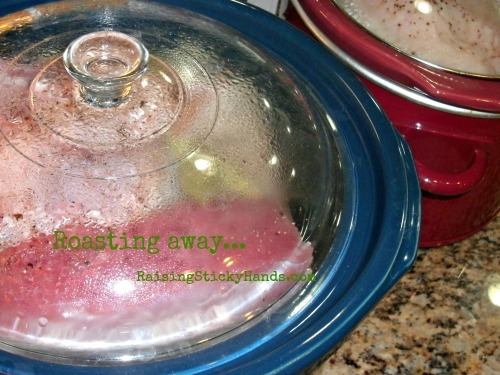 (Only do the following seasoning mixture if you have not brined the meat yourself.) Now open the packet of seasonings and sprinkle it on top of the meat. Do the same with all of the other seasonings listed above. 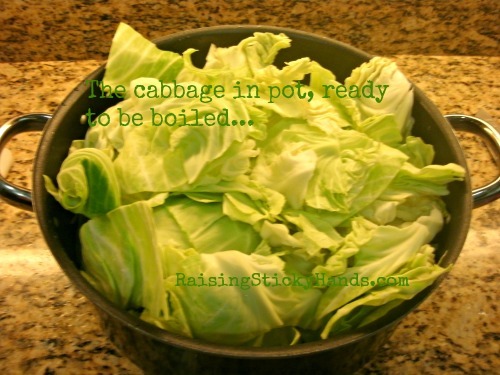 Fill the crock pot with water. Set heat to HIGH. 8 to 12 hours later, the brisket is ready to come out. You’ll find the low heat (compared to other cooking methods) and the extended cooking time really breaks down the fats in the meat and makes for a very tender flavorful cut. We usually also have roasted red potatoes – halved and tossed with garlic, onion, olive oil, salt and pepper. That goes in the oven for about 60 to 90 minutes before the brisket is done. I’m also a fan of cabbage. Core it, chop it up, bring it to a boil. At this point it should be tender, but not mushy. Then drain it and finish it in a frying pan with some butter, salt and pepper. You can find my St. Patrick’s Day ideas board here. Here is where you can find my St. Patrick’s Day board with ideas for our homeschool. How about you? Do you have any traditions or fun recipes that you use in your home to celebrate St. Patrick’s Day? I’d love to hear about them!